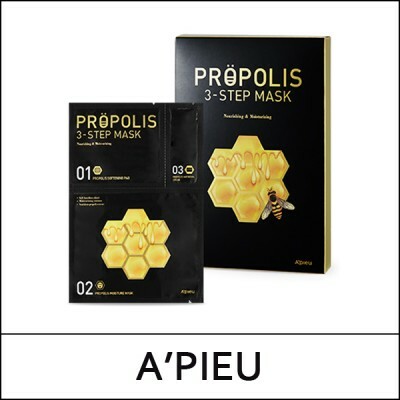 A 3-step mask enriched with propolis ingredient. the moisture mask, keeps the moisture in with the coating layer of nutrition cream. Moisture Mask adjusting around the eyes and mouth. Leave on for 10-20 minutes. Step 3 nutrition cream on entire face and wrap with palms for better absorption.